Striking wood figure, veneer match, craftsmanship or design makes a lasting positive impression on family and friends, on clients and co-workers. A very interesting challenge began a few weeks ago when a gentleman carrying a large box entered the workshop. He was carrying a newly purchased antique weather vane and wanted to make the weather vane a noteworthy office addition to be seen by clients and co-workers. A stand should present and complement artwork and collectibles without competing for attention, and that was our goal. After exploring some wood choices, quartersawn cherry seemed a perfect complement to the aged copper, and it was fortunate I had a suitable board on hand. 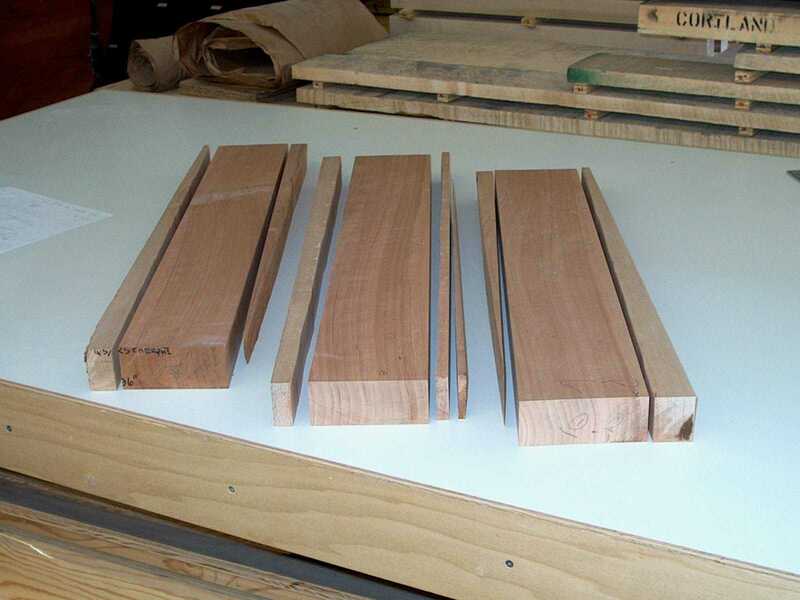 The board was crosscut into three pieces, and each then was trimmed to align the grain direction with the edges. 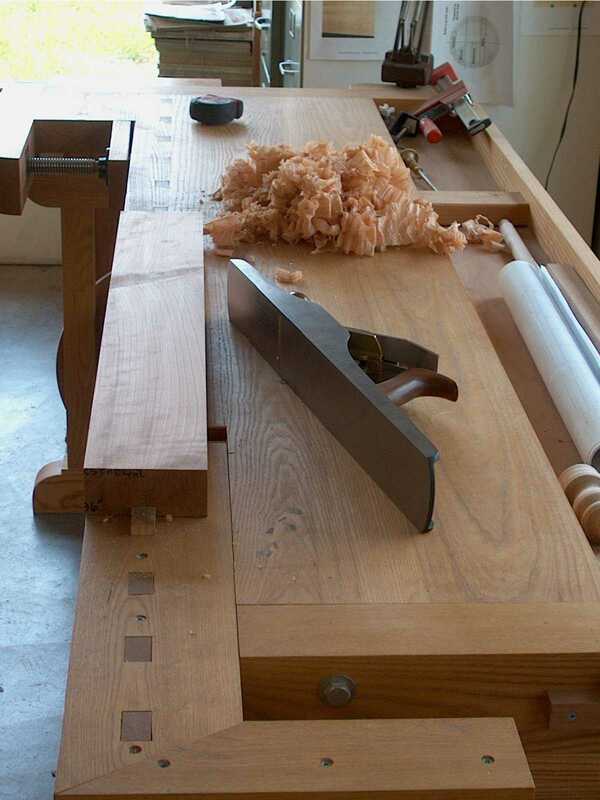 After flattening and straightening the surfaces on machines, the faces were refined with a jointer plane so eventual glue lines would be as tight and unnoticeable as possible. The weather vane has a central almost vertical rod, for which the stand had to be drilled. This rod was angled slightly, both left to right and front to back. Tapered wedges were used with a test block to find that compound angle at the drill press. The drilled hole had to be slightly oversize so the rod could be inserted, but this would allow the stand to lean slightly. Front-to-back slight leaning would not be noticeable, but left-to-right would stand out. Small cherry alignment blocks were planned to address this issue, to be hidden behind the horses’ hooves and the pumper’s large rear wheel. They work perfectly, and are not noticeable unless pointed out. A reddish brown dye deepened the color of the stand without obscuring the wood the way pigment stain can. Three coats of an oil-varnish blend highlighted the character and figure of the wood and provided protection without masking the wonderful tactile stimulation of wood. As the cherry develops its natural aged patina, the stand will even more successfully present and complement the weather vane. This small project was immensely satisfying and a pleasure to complete.